I believe by now you must have read my article on common security risks associated with mobile, web, and desktop wallets which I have published a few days back. If you have not read that yet, then do read it, because that’s where I have talked extensively about the security risks of using Bitcoin software wallets (like mobile wallets). And I know that some of you who have read that article might think that I am telling you to stop using mobile wallets (or software wallets), but that’s not true. I think software wallets are very useful. When should I use a mobile wallet? Where should I use a mobile wallet? How much should I keep in a mobile wallet? Mobile wallets are the fastest ways to use your bitcoins/altcoins because they can be used instantly in any day to day activity. But as I mentioned in the previous article, these wallets can also be super risky. That’s why I advise you to treat mobile wallet as you would treat the wallet in your pocket; only put in the amount necessary to make imminent transactions with. Quick Transactions – When you want to pay with a quick transaction like in a coffee shop or a McDonald’s, or when you want to give someone a tip, having a mobile wallet to use is super convenient. While Travelling – When you are traveling in countries where there are Bitcoin ATMs, it becomes quite handy to have a wallet ready to go. With these ATMs, you can instantly trade bitcoins for the supported fiat currency of that country (EUR, GBP, USD, etc.). 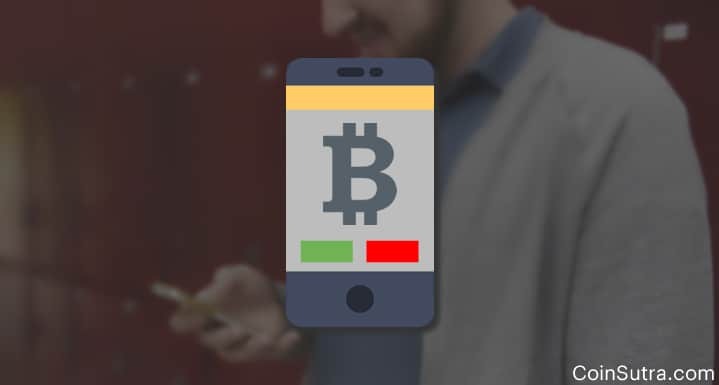 To Fund Your Bitcoin Debit Card – You can use your mobile wallet to easily and quickly fund your Bitcoin pre-paid Visa/MasterCard debit card which you can use later to swipe at any Visa/MasterCard merchant. To Create Multisig Wallets – You can enhance the security of your funds while using mobile wallets by creating multisig mobile wallets. Multisig wallets allow you to spend funds only when you have signed a transaction with at least M out of N keys. For example, for a wallet like Copay, you need to have at least 2 out of 3 keys to perform that transaction. Check this post for more info. Airdrops & Education – If you believe in helping cryptocurrencies as Bitcoin thrive, then you can do “educational airdrops” using your Bitcoin mobile wallet. This will allow you to give away some Satoshi as well as teach people on how to transact using Bitcoin. To Show Off – I have seen some early adopters of Bitcoin who like to show off by paying tips through Bitcoin. And if you would like to join their ranks, then you can also do this by using your mobile Bitcoin wallet app. Now, I am sure some of you want to know which mobile wallets are the best to use for the aforementioned situations. In my opinion, these are the only times when we should be using mobile and software wallets. But you should decide for yourself which wallet to use in any given situation. I have mentioned many times that the type of wallet you want to use ultimately depends upon the kind of security you want and the level of activity you want to do with your bitcoins. It also depends on how frequently you use your funds and how much you want to store in any one particular wallet. Also, are the coins you possess for your savings/investment or are they for daily transactions? You need to decide what’s right for you. I personally prefer hardware wallets like the Ledger Nano S for storing a significant amount of bitcoins because of the high-security features. And I use desktop wallets to keep bitcoins which I am not using for daily transactions but want to keep handy for buying other cryptocurrencies. This way, I can quickly connect my desktop wallet to the Bitcoin network and transfer over my bitcoins. But I don’t like using web wallets such as Coinbase or Zebpay because you don’t control your private keys, and I do not think that is good at all. Of course, for spending’s sake, I keep some bitcoins (0.2-0.3 BTC) in my mobile wallet (Mycelium/Coinomi) which I can use anytime on-the-go, similar to how I keep paper money in my pocket wallet. In short, mobile wallets are quick and easy to use, but you should never sacrifice safety for convenience. So now I want to hear from you: Which wallets do you like the best? When do you use hot wallets (mobile wallets, software wallets) and when do you stay away from them? Let me hear your thoughts in the comments below! Hi Sudhir- I stay in India and will like to buy Bitcoin from global exchnages. where i can buy them at lowest price? I checked and found that indian exchanges are selling them at higher price. Other question i have is when we try to convert in cryptocurrency to other at shapeshift, then it gives us a time of say 10 mins which is very less to transfer currency considering time required to confirm it. How do we deal with it? Thanks in advance for helping. i regularly read all your articles and found them insightful. Are you planning to attend Bitcoin conference in Mumbai in November? Yes, prices are quite high in India that’s because acquiring liquidity is costly for Indian exchanges. Also buying from global exchanges via wire transfer is unregulated but according to FEMA rules, you should not do it. However, you can purchase BTC and ETH from foreign exchanges via debit/credit cards like –https://coinsutra.com/buy-bitcoins-debit-credit-card/. But before buying thoroughly confirm the net cost because it will rarely cost less to you but yes sometimes due to price volatility you can find a good price. Try Changelly they don’t have such time cap and whenever they will receive your crypto for exchange they will convert it according to current competitive price. Also, its operational history tab shows the status of your transaction which is missing in ShapeShift. Glad to know that my write-ups are helping someone somewhere. No plans as of now for November conference as I just returned from India Blockchain Week, Mumbai [https://coinsutra.com/takeaways-india-blockchain-week-2017/] so for now focusing on CoinSutra to be taken to a next level. Thanks Sudhir.I agree that using a credit/debit card will make it equally expensive. I was not aware that buying cryptocurrencies with wire deposits is against FEMA rules. On Shapeshift, using quick option against precise allows you to transfer the coins in indefinite time. It worked for me. You may want to cover it in detail in you future blog post. Sure thanks for the info.